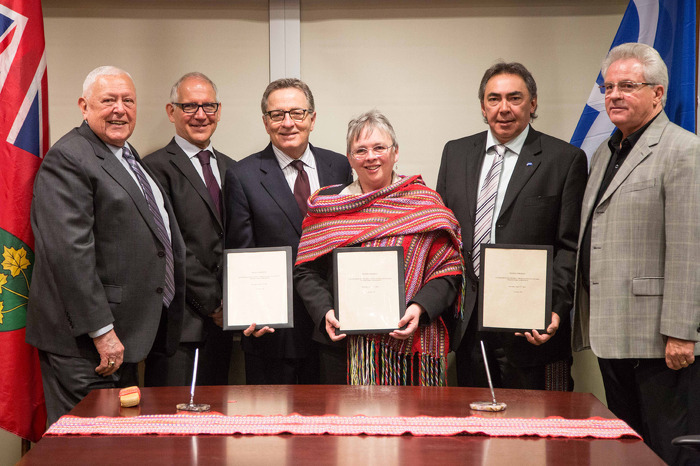 Ontario and the Métis Nation of Ontario (MNO) have renewed a Framework Agreement that sets out how they will work together over the next five years to improve the well-being of Métis children, families and communities. Increasing awareness of Métis history, identity and culture. The renewed agreement will continue to facilitate the recognition and advancement of Métis people in Ontario, as well as provide a forum for discussion on matters of mutual concern. A co-ordinating committee will identify priority activities on an annual basis to support the goals and objectives of the new agreement. Supporting Aboriginal people and communities is part of the government's economic plan that is creating jobs for today and tomorrow and focuses on Ontario's greatest strengths - its people and strategic partnerships. The initial Framework Agreement was signed on Nov. 17, 2008. 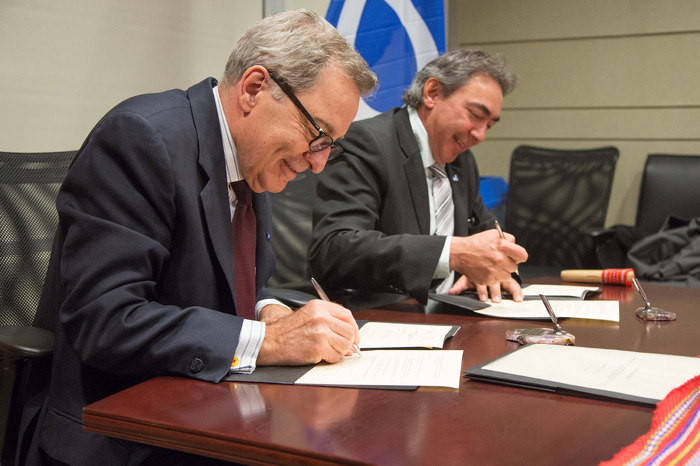 Minister Zimmer, MNO President Gary Lipinski and MNO Chair France Picotte signed the renewed five-year agreement today in Toronto. There are over 86,000 Métis people in Ontario, which represents approximately 28 per cent of the total Aboriginal population in Ontario. The Métis Nation of Ontario maintains a centralized registry of Métis citizens recognized by the Métis Nation of Ontario who are represented at the local, regional and provincial levels through Chartered Community Councils and the Provisional Council of the Métis Nation of Ontario. Métis Nation of Ontario volunteers were recognized with the 2014 June Callwood Outstanding Achievement Award for more than 67,000 volunteer hours supporting Métis people last year. Learn more about the Métis Nation of Ontario. Learn about the Métis Voyageur Development Fund. This document was published on April 17, 2014 and is provided for archival and research purposes. Métis Nation of Ontario President Gary Lipinski providing remarks at Framework Agreement signing ceremony - Toronto, April 17, 2014. 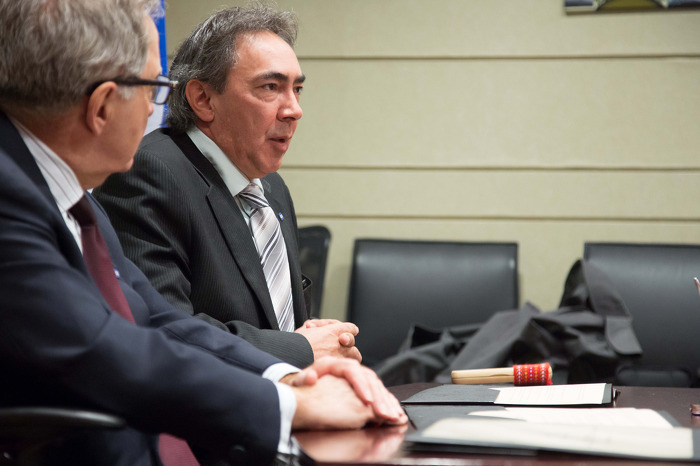 Minister of Aboriginal Affairs David Zimmer and Métis Nation of Ontario (MNO) President Gary Lipinski signed a renewed Framework Agreement in Toronto. April 17, 2014. 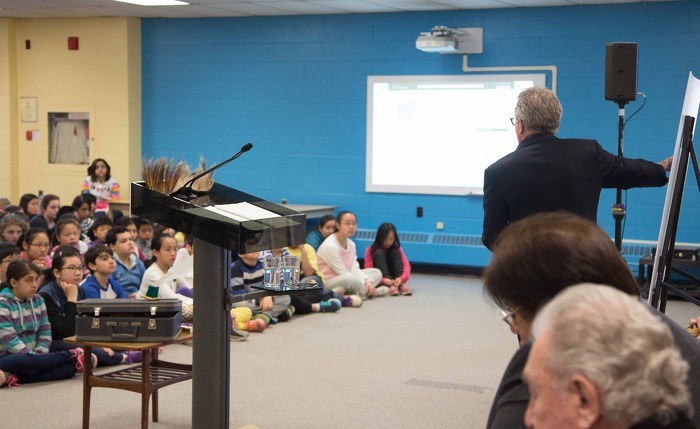 Ontario is sending a First Nations and Treaties map to every elementary and high school in the province as a first step towards raising awareness about treaties.